Strung Out’s brand new album, Transmission.Alpha.Delta, is available for pre-order now! In addition to the band working tirelessly to create a career-defining album, singer Jason Cruz worked tirelessly to create an original painting for each song on the album. 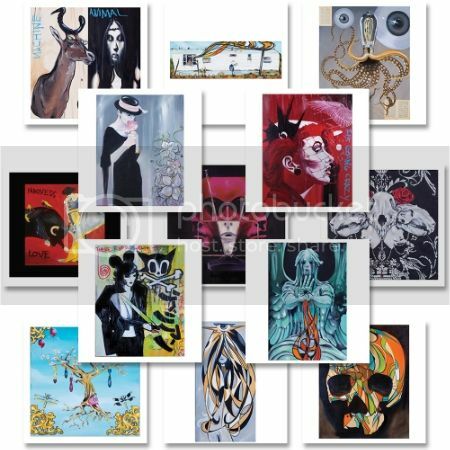 In a special bundle available now, you can get a set of quality 12”x12” prints, suitable for framing, of all 13 paintings to go along with your album. Record nerd alert: we have two different color vinyl variants available, one with the bundle and one on its own.